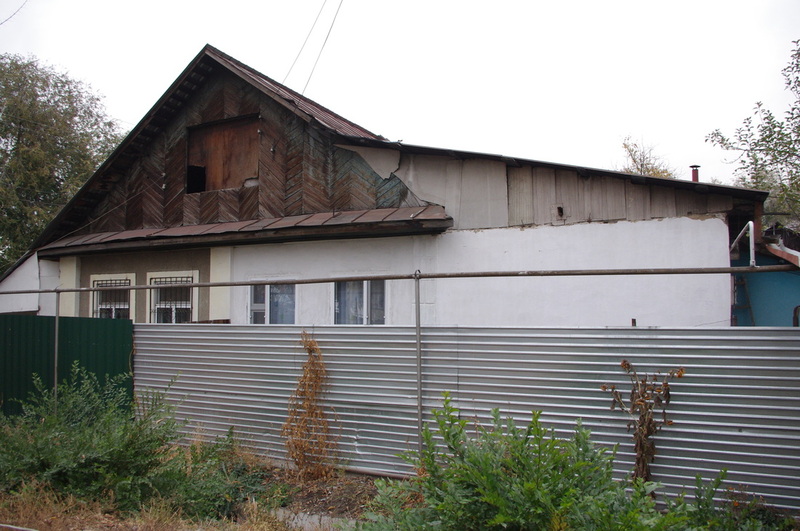 The amorphous floorplans of houses back home in California mean that the roofs I'm used to seeing can't be easily fit into typologies. There are ridges going this way and that way, as multiple parts of the house get multiple pitches, so most roofs seem pretty unique. 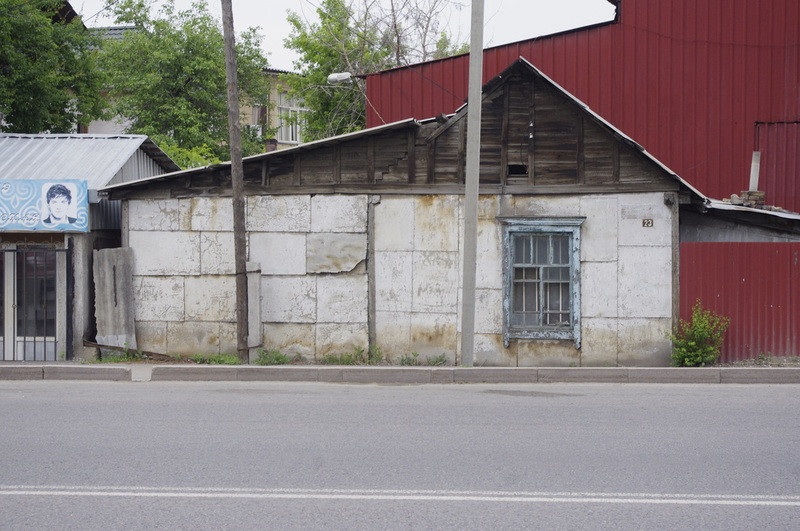 In Almaty, on the other hand, homes are obsessively rectangular, tidy boxes that can be topped with a fairly limited set of roofing styles. 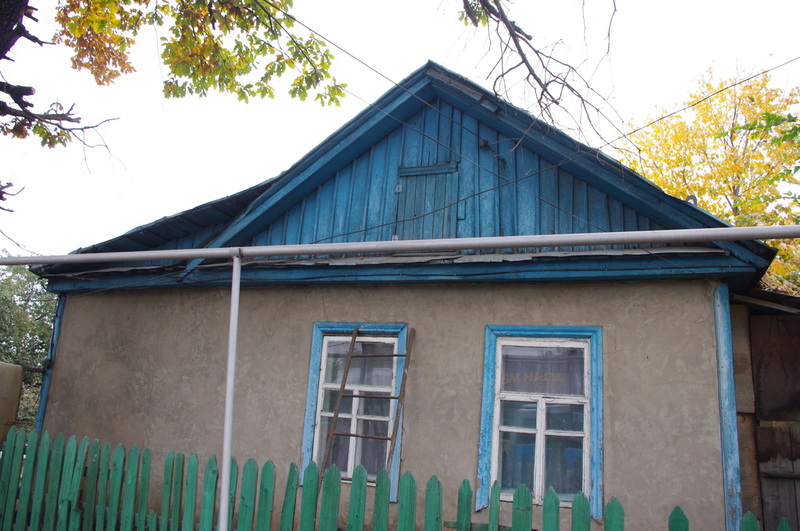 There are gable roofs and mansards aplenty, but the roof that vexes me is the one without a name. What is the deal with the three-pitched roofs? I've searched far and wide for a name or an explanation. Saltbox roofs in America can also have three pitches, but they have a different profile, with the third side extending below the other two. The eaves of an Almaty roof, meanwhile, all hang at the same level. 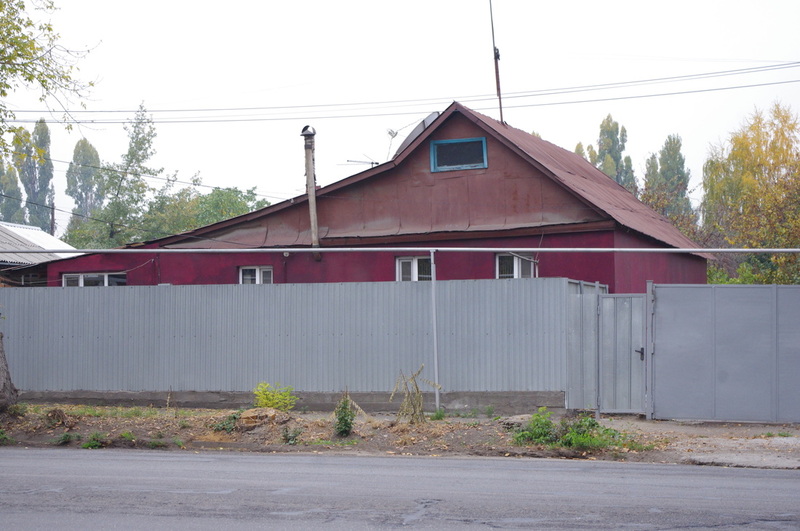 After all, the roof is just a hat on a cube. 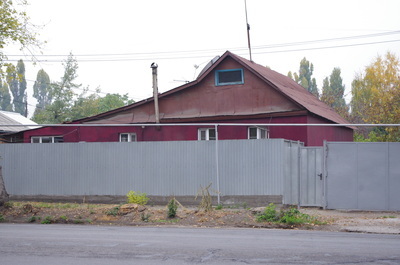 Unlike the salt box houses, there's nothing goofy about the house shape itself. 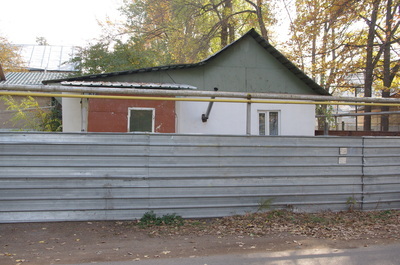 Sometimes the long side of the roof with the shallow pitch was clearly added to cover an adjacent storage room, and other times you can see that it covers a foyer. 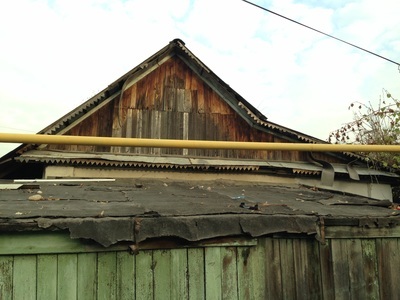 Yet this isn't always the case, so unusual add-ons can't always explain these roofs. 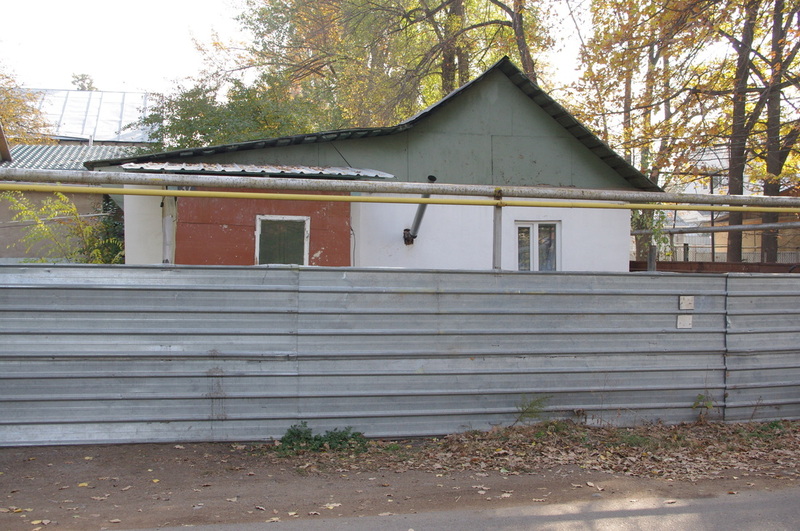 I suspected that perhaps they had to do with snow - if the houses were all oriented with the long roof facing south, the snow on these pitches would melt faster in the winter. 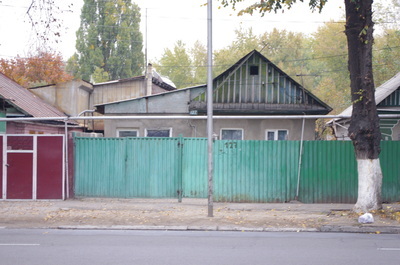 Yet the orientation of these homes is inconsistent. 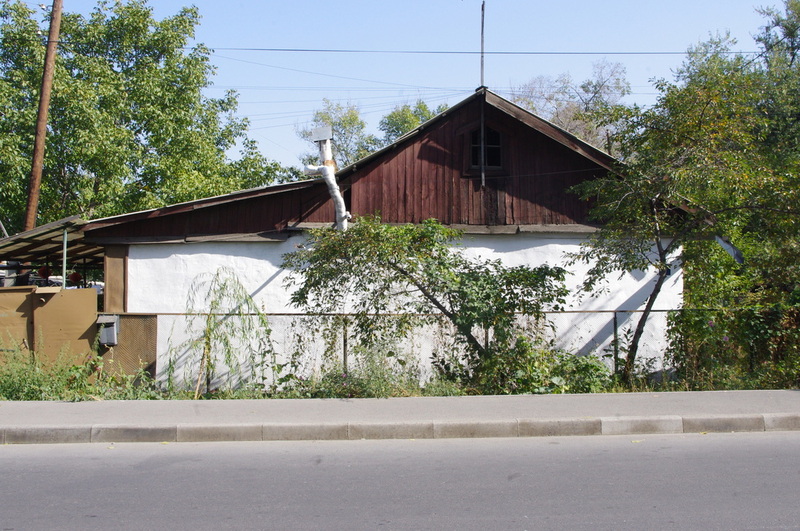 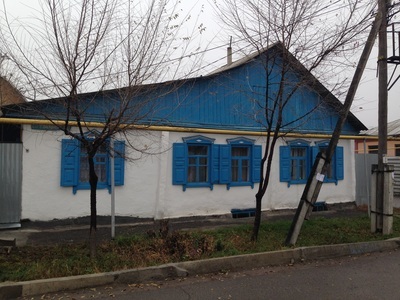 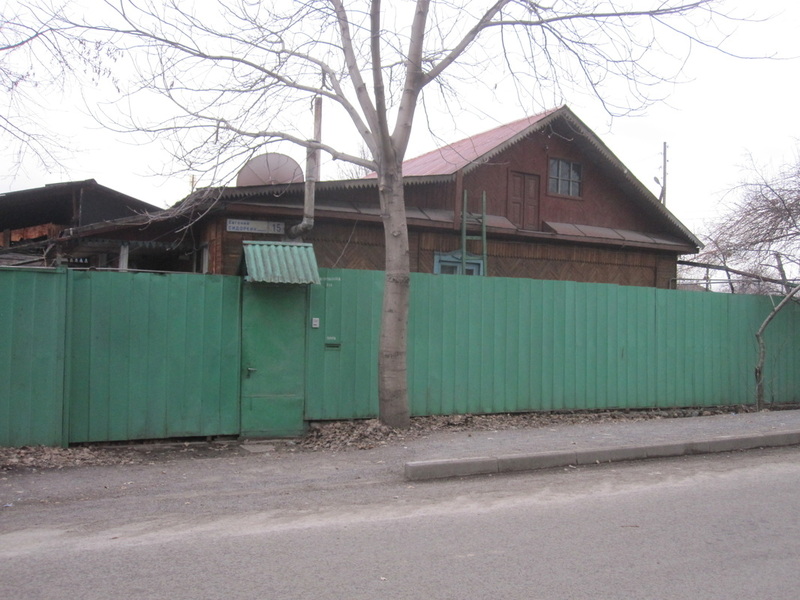 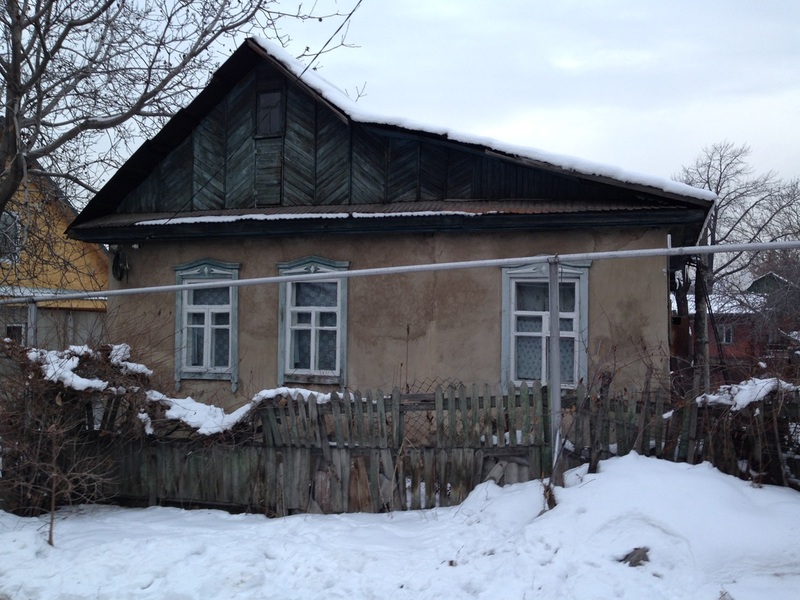 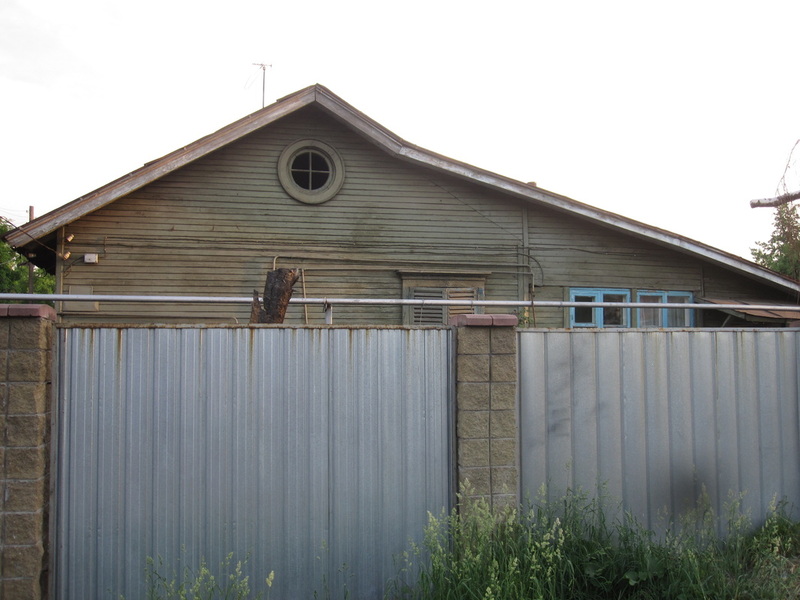 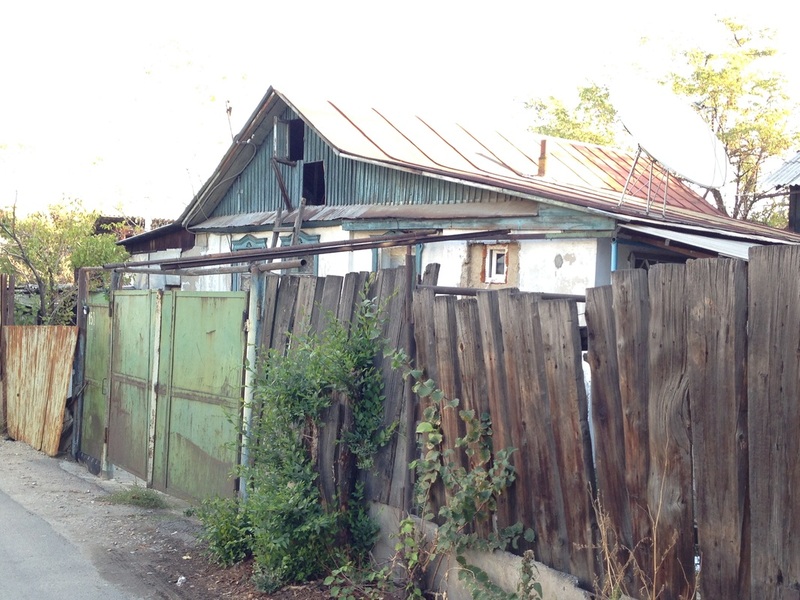 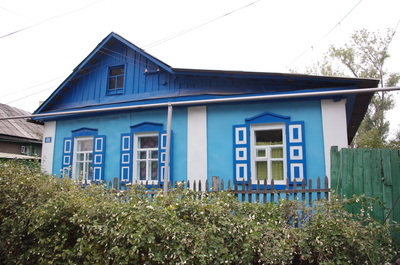 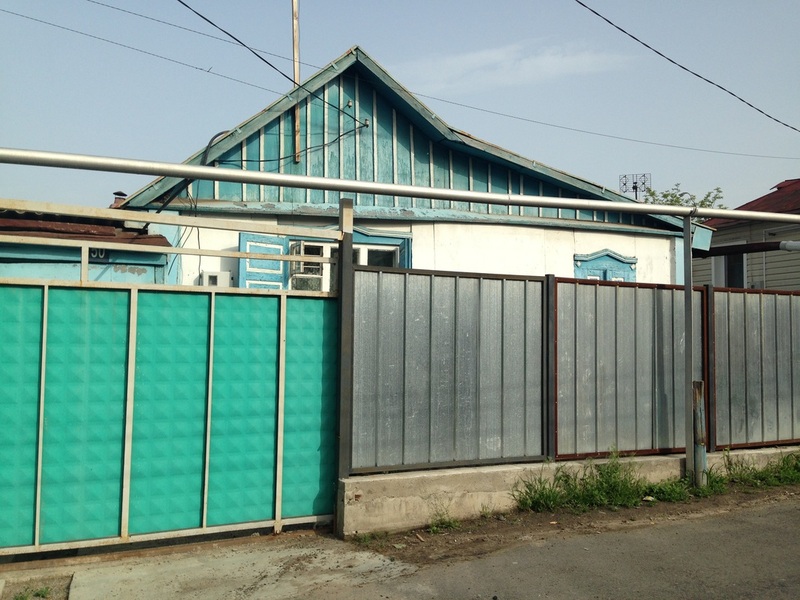 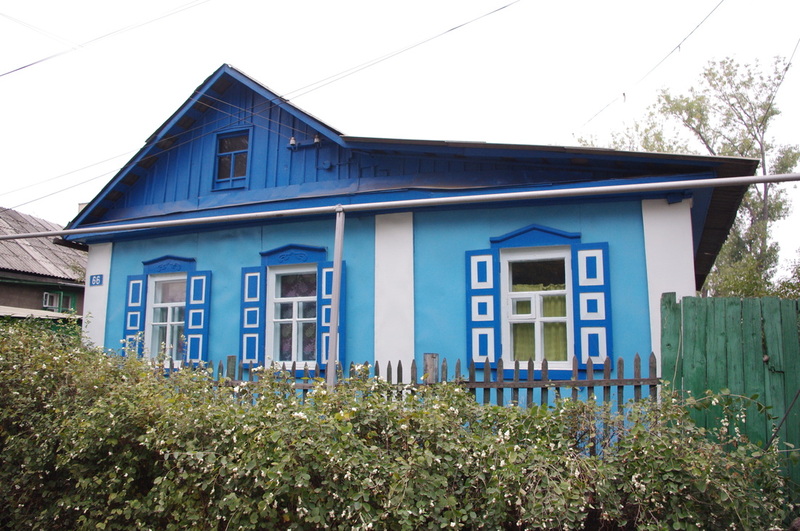 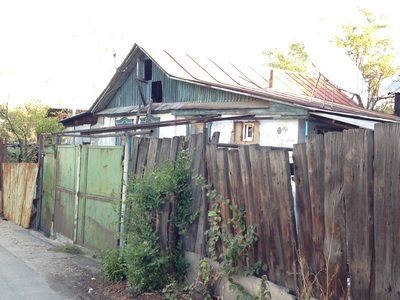 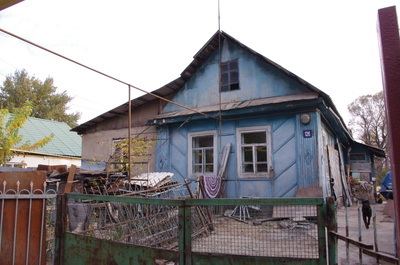 Until some Russian roofing expert discovers my site and stumbles upon this mystery collection, I'l keep walking Almaty, feeling to shy to ask a single homeowner why their house is shaped like that.